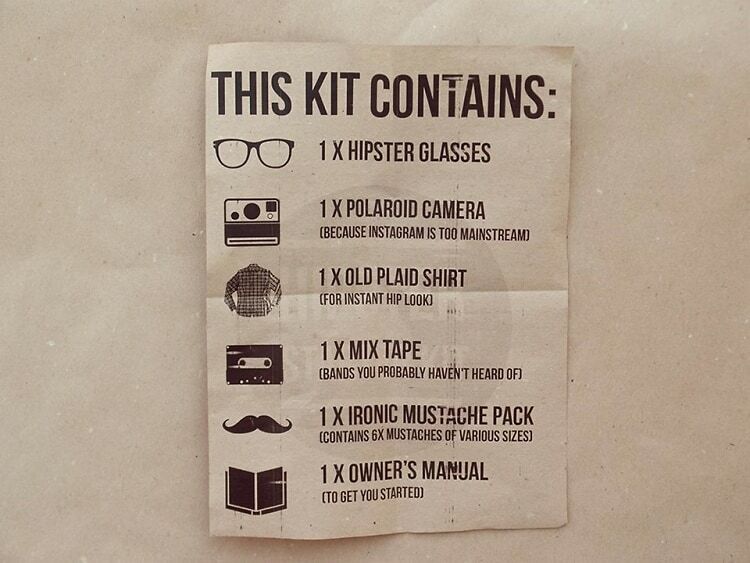 Ever dream of being a hipster but find yourself overwhelmed and just don't know where to start? 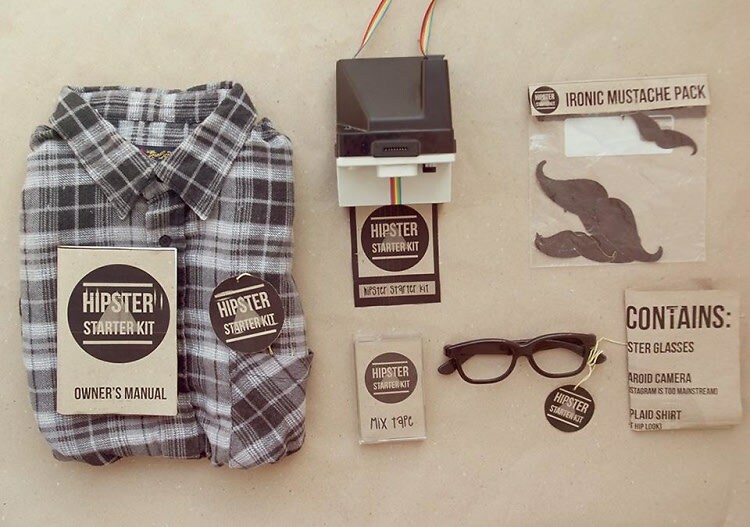 Then you're in luck, thanks to Croatian designer Mihael Miklošic and his Hipster Starter Kit. The compilation of items will transform anyone from a mainstream poser to a quirky, intellectual individual. Inside you'll find a Polaroid camera (because Instagram is too mainstream), thick rimmed glasses, a pack of ironic mustaches, a plaid shirt, and a mix-tape with "songs you probably haven't heard of." Throw on a pair of skinny jeans and trade your iPad in for a tattered copy of Catcher In The Rye and you'll blend right in at any vegan coffee shop. Go HERE for more info on where to get started!